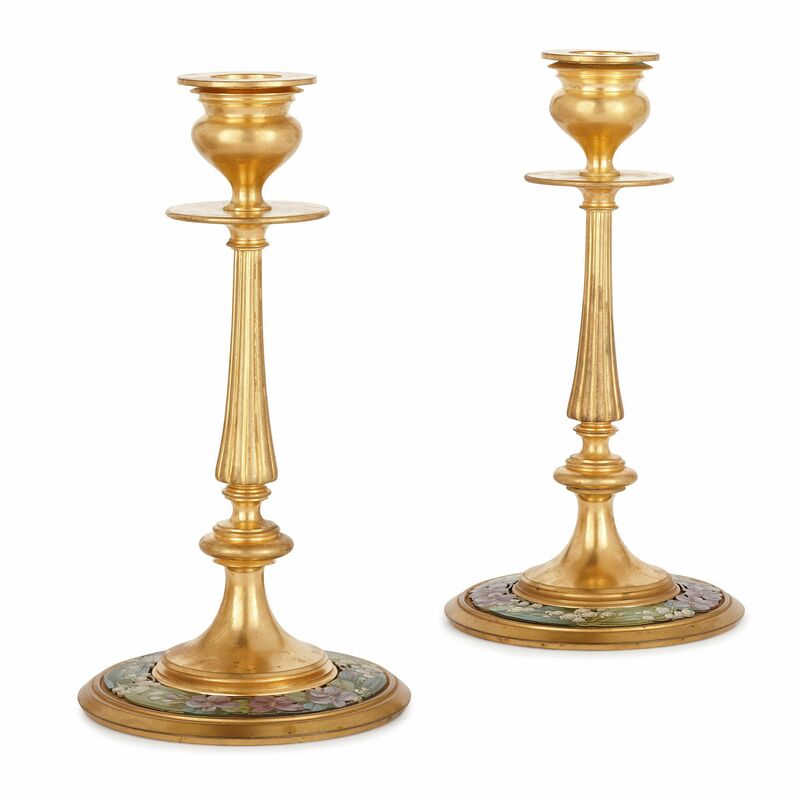 These elegant, antique French gilt and painted metal desk accessories will make a wonderful addition to a study, either antique or contemporary in style. 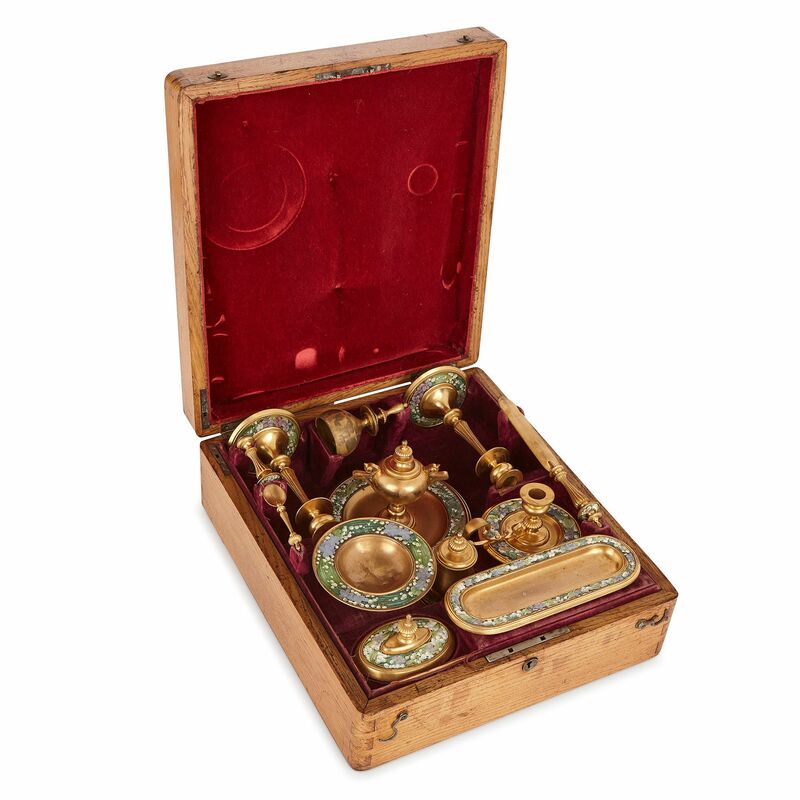 Totalling twelve pieces, the desk set consists of two inkwells, a pair of candlesticks, a bell, a candleholder in a dish, a pen tray, an ink blotter, a shallow bowl, a letter-opener, and a wax stamp and spoon. 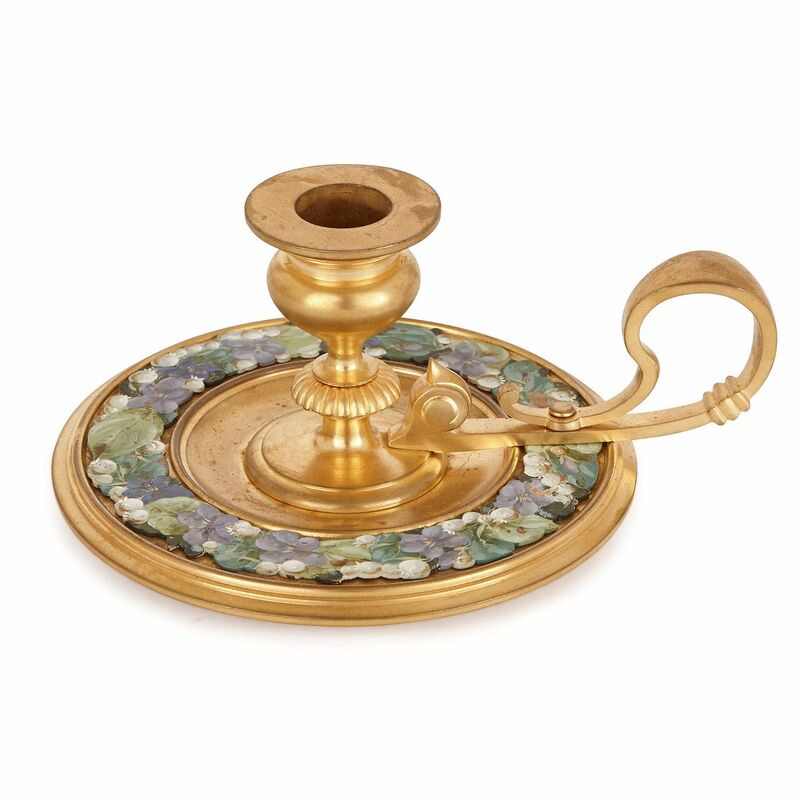 The two inkwells vary in their shape. 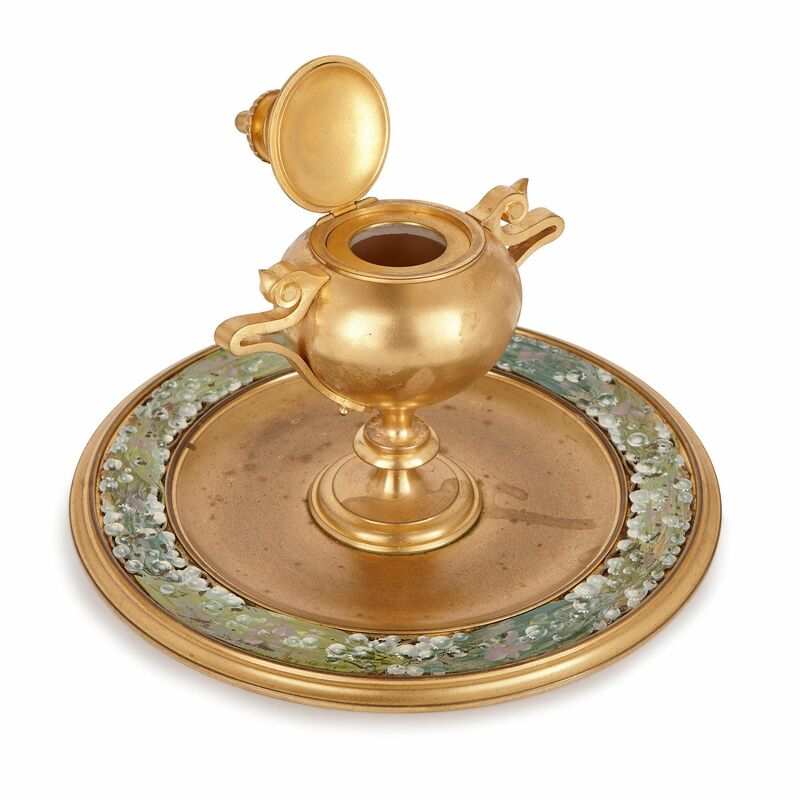 One inkwell is twin-handled, with a bulbous body on a shaped stem and circular foot set on a dish, while the other is bell-shaped, handleless and placed on a circular base. Both have hinged lids, which allow one to access the ink stored within. 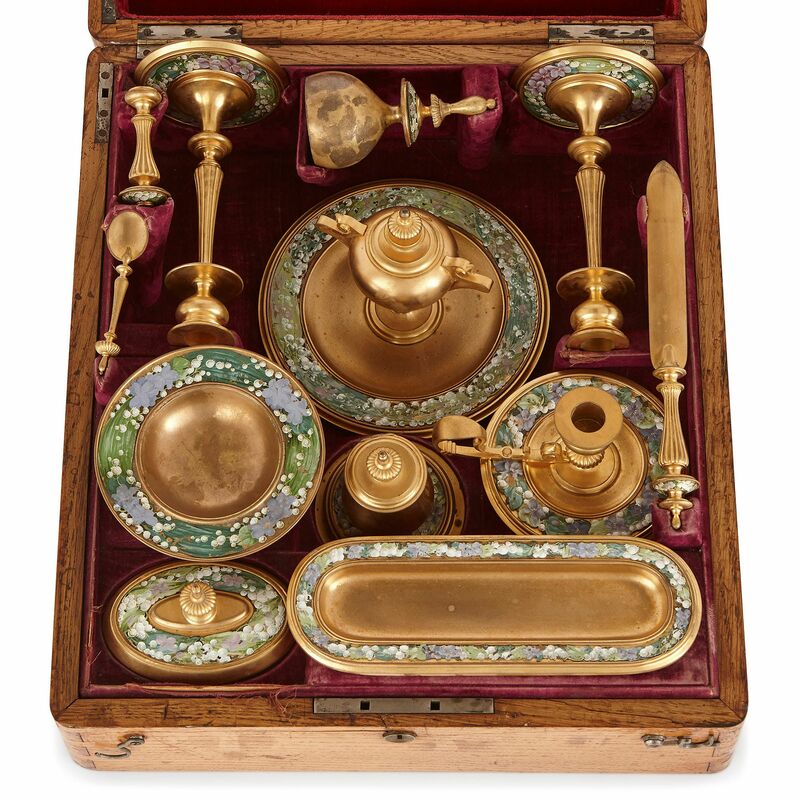 The gilt metal desk accessories are similarly decorated. 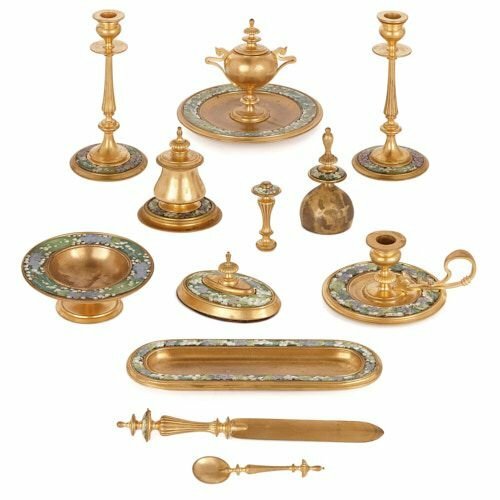 All the items, excluding the small wax spoon, feature flower paintings around the edges of their circular feet, dishes, or tops. 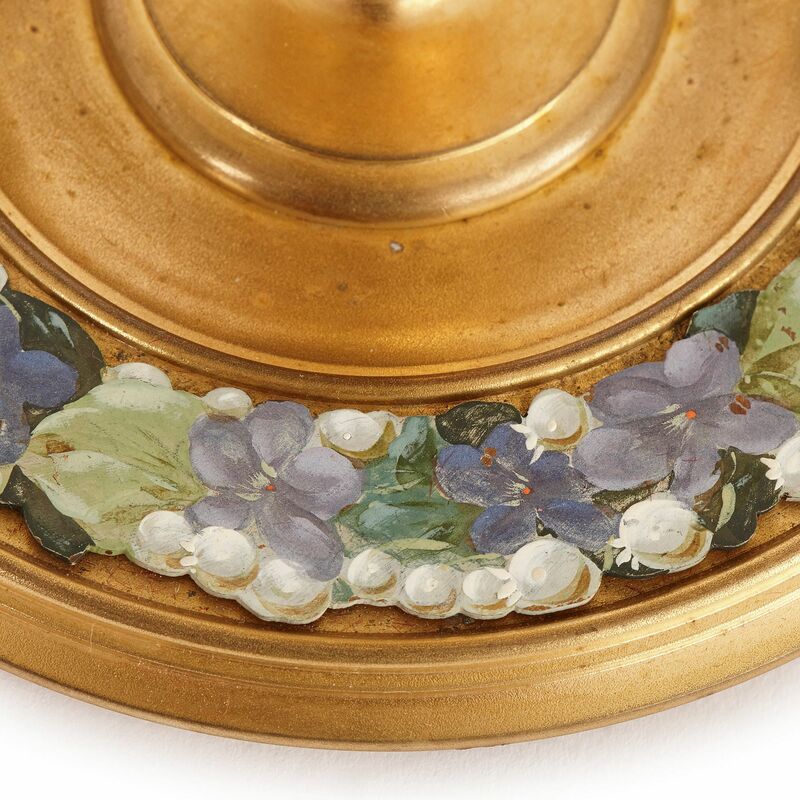 These are depicted using a predominantly white, lilac and green colour palette. The items with stems or handles, which is all except the shallow bowl and pen tray, are either fully or partially fluted. 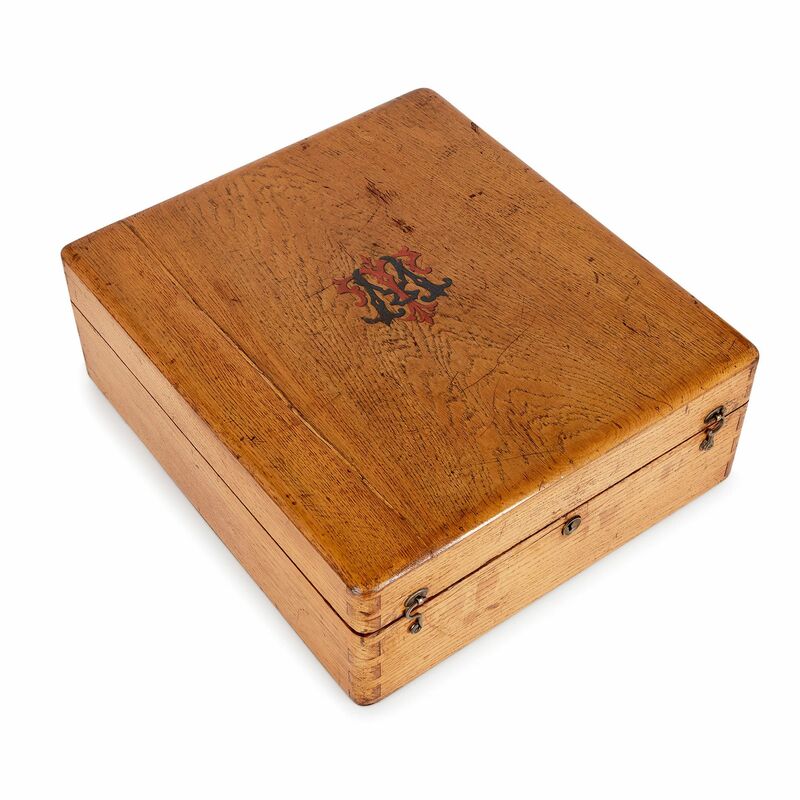 This set is stored within a red velvet-lined wooden case. 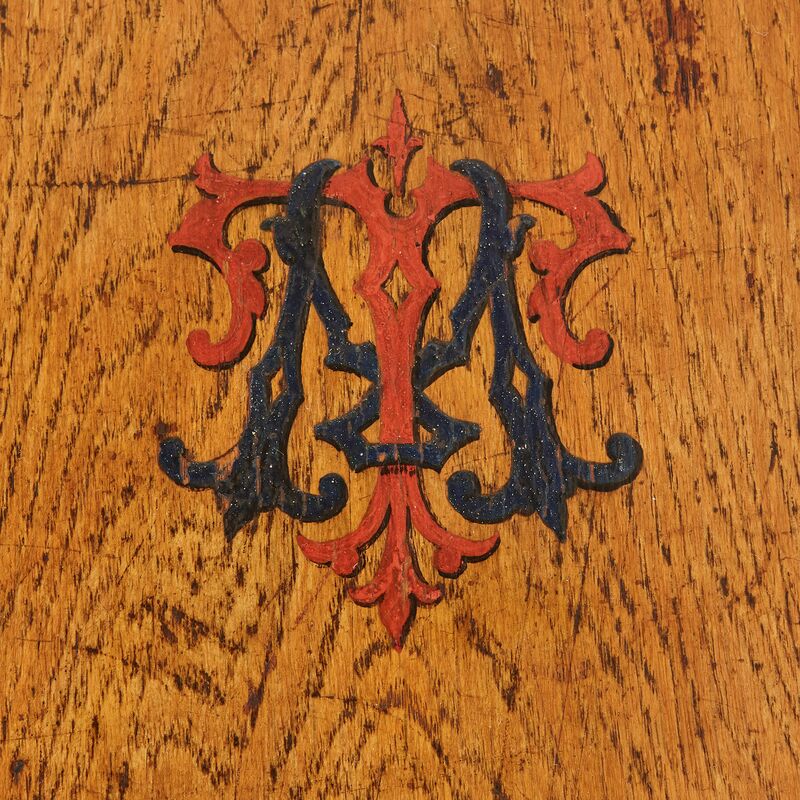 This is painted, on one external side, with an interlocking ’T’ and ‘M’, which were perhaps the initials of the original owner.